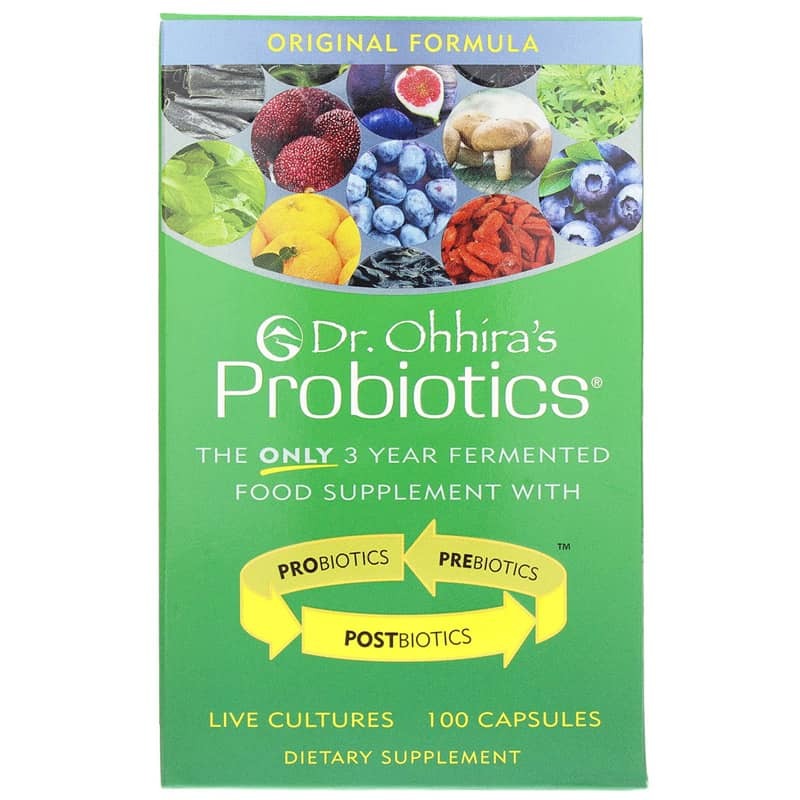 Dr. Ohhira's Probiotics Original Formula from Essential Formulas is a complete probiotic system with LIVE cultures. 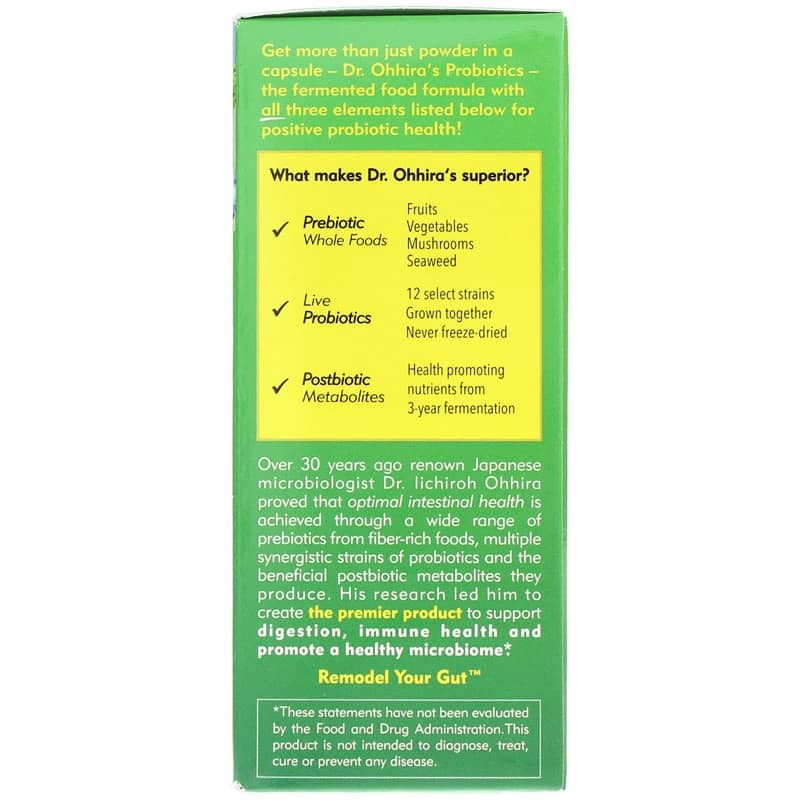 This complete probiotic and prebiotic system is fermented in a 3 year process at seasonal temperatures resulting in a product that is stable without refrigeration. 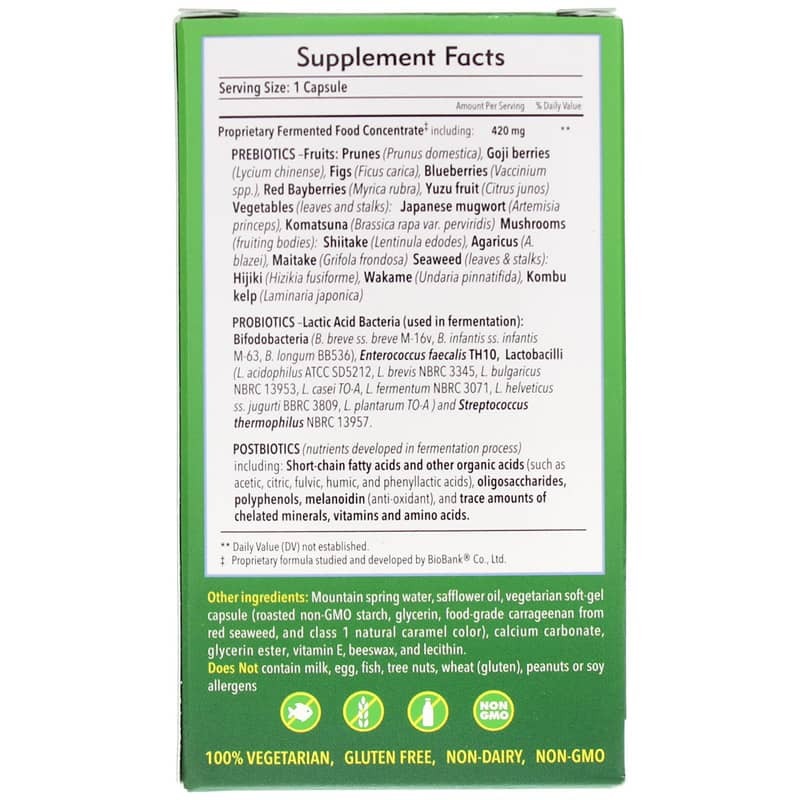 The capsules contain biogenic probiotics plus their nutritious prebiotic culture medium, which ensures the probiotics' survival and balances your GI tract environment. Convenient blister-packed capsules are stable at room temperature. 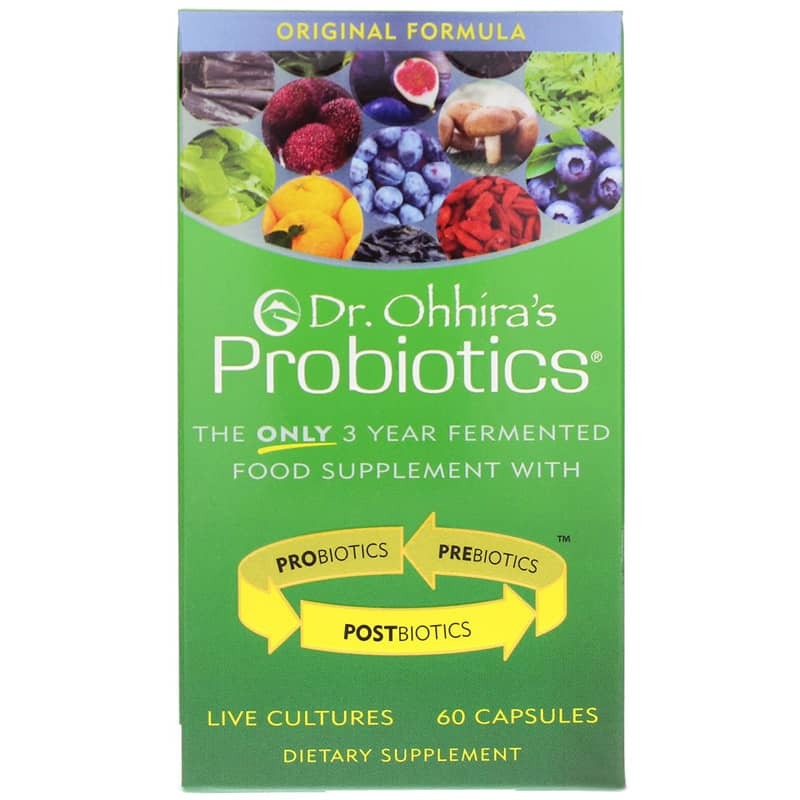 Dr. Ohhira merged modern science with ancient Japanese fermentation artistry to create a product unlike any other probiotic supplement on the market. A three-year fermentation process at seasonal temperatures encourages survival of the strongest bacteria and makes the blend (12 Probiotic Strains) stable without refrigeration. Other Ingredients: mountain spring water, safflower oil, beeswax, lecithin, capsule (tapioca processed from Manihot utillissima root, glycerin, carrageenan and caramel color), Lactic Acid Bacteria used in fermentation: Bifidobacterium breve ssp. breve, Bifidobacterium infantis ssp.infantis, Bifidobacterium longum, Enterococcus faecalis TH10, Lactobacillus acidophilus, Lactobacillus brevis, Lactobacillus bulgaricus, Lactobacillus casei ssp. casei, Lactobacillus fermentum, Lactobacillus helveticus ssp. jugurti, Lactobacillus plantarum, and Streptococcus thermophilus. 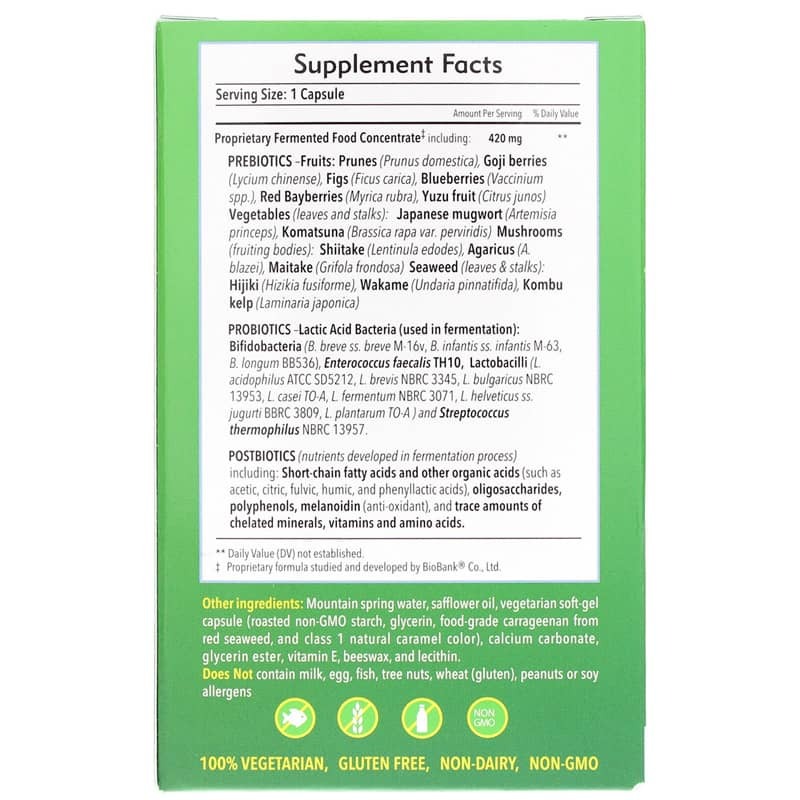 *Ingredients are fermented and processed for 3 years using 12 strains of lactic acid bacteria. All strains may be present in final product. 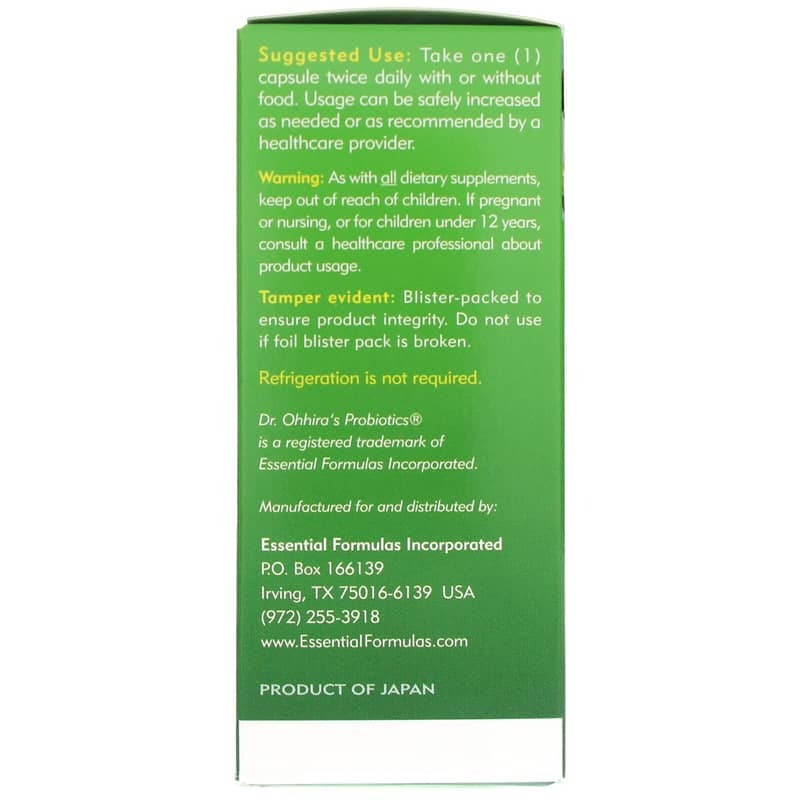 Adults: For best results, take 1 capsule twice a day on an empty stomach (1 hour before or 1 1/2 hours after meal) or as recommended by a healthcare professional. 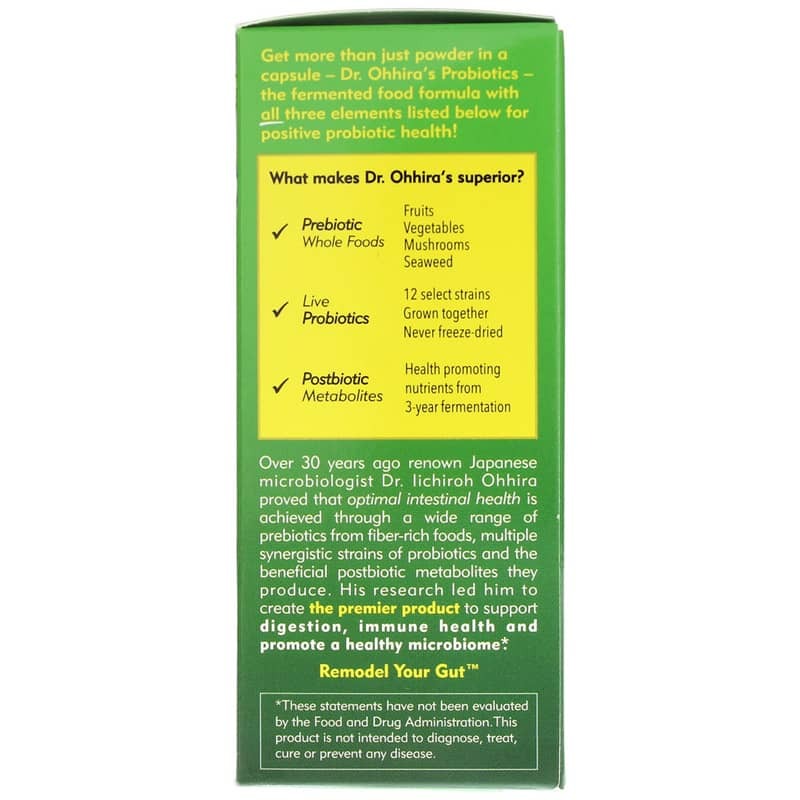 A local health food store specialist recommended this product to me as one of the best probiotic products on the market. It is gentle on my system and Naturally Healthy Concepts has better prices and their service is good and quick.